Daily shampooing might be the topic that we have the most initial debate over with our clients, so we thought it very important to dedicate a page to explaining why we recommend it, and why it is good for the health of your hair and scalp. We understand that it isn’t realistic for everyone to wash their hair daily due to lack of time and their hair texture and length – this is particularly true if you have very unruly, coarse and hard-to-control hair, such as Natural Coiled Curls. Furthermore, if you need to straighten your hair every time you wash it, there can be negatives. Indeed, some individuals find their hair looks and behaves better after a few days of not washing. It is an individual preference, but research shows that frequent shampooing helps to maintain a healthy scalp and hair. If daily shampooing isn’t possible, we recommend every other day, or try using a scalp toner, or dry shampoo with scalp benefits, on the days in between to help keep your scalp and hair in better condition and to discourage the overgrowth of bacteria. The most important thing is to choose the correct shampoo and conditioner for your hair texture and needs. 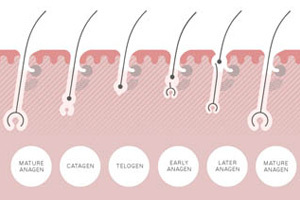 We have dispelled these misconceptions in other articles (and you can click through to our Hair Myths section to find out in more detail). You take your hair and scalp to the same places you take your face, and it gets just as dirty. Clean hair reflects light better and so has a glossier and shinier finish. 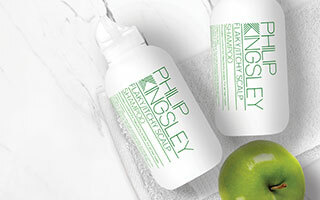 A clean scalp encouarges your hair to grow at its optimum rate. Build-up of oils, dirt and sweat on your scalp can lead to dandruff and clogged follicles – both conditions which can affect your rate of hair growth and also your hair’s general appearance. If you are already prone to dandruff and a flaky/itchy scalp, daily shampooing helps to remove the excess skin and clear up visible flakes. This is especially true if you use a shampoo specifically formulated to clear dandruff. Shampooing hydrates your hair. It is in fact moisture (water), not oil, content that keeps your hair supple and elastic. ‘Natural oils’ on your scalp simply sit on top of your hair, but do not penetrate the cuticle or cortex. Daily shampooing encourages the use of a daily conditioner, which will help keep your hair shiny and tangle free. Conditioning also smoothes your hairs’ cuticles, which helps to protect your cortex from damage and dryness. Frequent shampooing removes unpleasant hair/scalp odour. If grease and sweat are left on your scalp for too long, bacteria starts to break them down and creates the equivalent of B.O. on your scalp.